All types of S, S nut bolt and industrial raw material. .
By utilizing our years of experience, we bring forth a qualitative array of 304 Stainless Steel Nut. Riding on unfathomable volumes of industrial expertise, we are engaged in trading a broad assortment of SS Nut Bolt. We are dedicatedly involved in trading a wide array of SS Nut. - Size: 1/4" to 1"
Tradewell Ferromet Pvt Ltd can provide Cold Forged & Hot Forged Wheel Nuts / Non Standard Special Wheel Nuts with complete material compliance. Jayant impex pvt ltd, mumbai, india can provide cold forged hot forged alloy, metal and industrial nuts with complete material compliance. 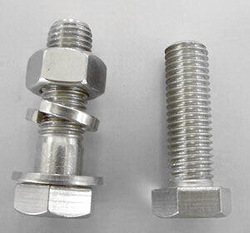 Alloy, metal and industrial nuts can be offer as both metric imperial inch sizes with coarse, fine, unc, unf, un, bsw, acme threads. 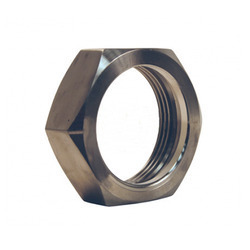 Stainless Steel Nuts, Size: 1/2" To 2.5"
स्टेनलेस स्टील नट साइज़: 1/2 "To 2.5"
Tradewell Ferromet Pvt Ltd can provide Cold Forged & Hot Forged Union Nuts / Non Standard Special Union Nuts with complete material compliance. Tradewell Ferromet Pvt Ltd can provide Cold Forged & Hot Forged UNF Nuts / Non Standard Special UNF Nuts with complete material compliance.